"Whether it's another race or a drawing of straws, it is now clear that while the athletes may no longer technically be amateurs, at least something associated with the Olympics carries on the tradition." - Deadspin homepage article titled yesterday, "Amateur Hour At The U.S. Track And Field Olympic Trials," featuring a LetsRun.com articles talking about the Jeneba Tarmoh-Allyson Felix tie for the 3rd Olympic spot. Fortunately, amateur hour only lasted 24 hours, as USATF came up with a rule yesterday to rectify the situation, although the new rule still has some loopholes according to Empoyee 1.1. Men's 400m: Recommended Read: Jeremy Wariner's Latest Defeat A Blow To Olympic Career Wariner walked through the interview area without stopping (video here) and that starts the author's article. 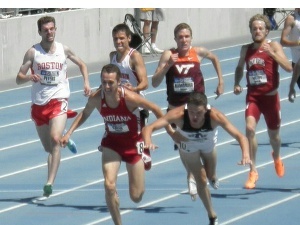 Trafeh, Webb, Teg and Rupp in the same heat. 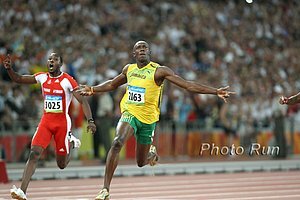 Classy Move Of Year: Curtis Beach Lets Eaton Cross Line First As He Breaks WR - Eaton Wishes He "Could Be As Graceful" As Beach "I just thought it would be better for Ashton to win as he broke the world record." 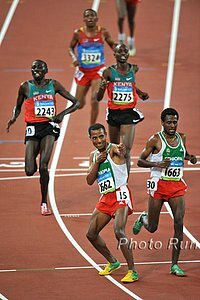 LRC Preview Of Monday's 800 Meter Finals: America's Best Primed For 800 Showdown The men's 800 final was one of the highlights of the 2008 Trials, as an Oregon Duck thrilled the fans and grabbed a spot. Will history repeat itself in 2012? Can Charles Jock rebound? Will Symmonds and KD come through as they almost always do? On the women's side, there is a ton of talent, as the top six seeds in each gender are in the final. Will Maggie Vessey go home? Both races are a must watch in our minds!!! 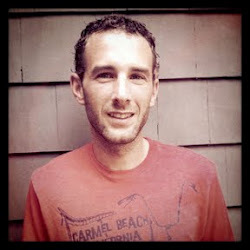 LRC Preview Of The 5,000s At The 2012 US Olympic Track & Field Trials Big race! 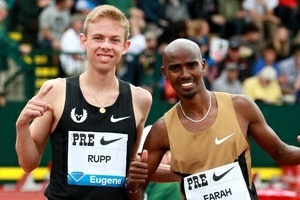 Bernard Lagat or Galen Rupp - who takes it? Rupp is 0 for 12 against Lagat, but could he get lucky number 13 at Hayward Field? The women's 5k features 11 under the soft IAAF standard of 15:20.00 and five more who have run within 5 seconds of it. Who gets through the first round. 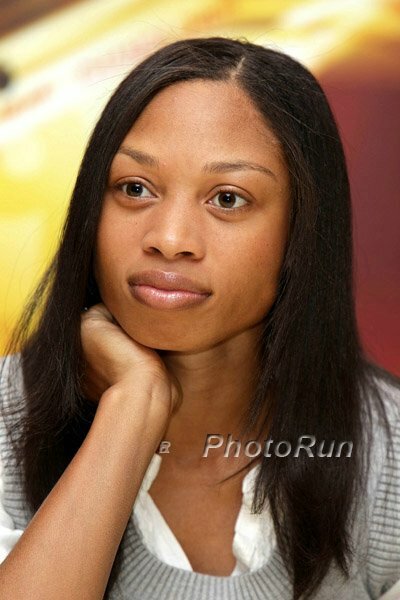 LRC Preview Of The Steeplechases At The 2012 US Olympic Track & Field Trials It will be a battle for the final Olympic spots, as after the favorites there is very little separating those with the "A" in both the men's & women's fields. Emma Coburn, Donn Cabral and Evan Jager are pretty much locks for the team. Who will get the remaining spots? 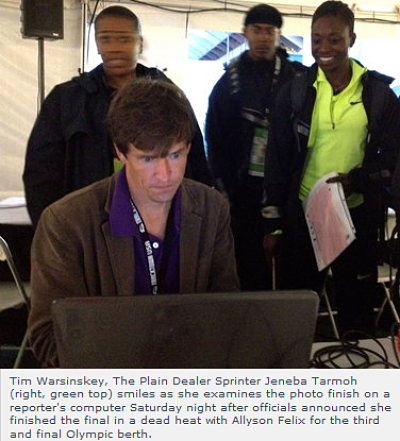 *Cleveland Plain Dealer Recap Of Felix/Tarmoh Tie With Photo Of Tarmoh Looking At Tie On LetsRun.com Computer Runner-up Tiannna Madison is apparently upset with USATF and skipped the press conference. *RR: Coach Bob Kersee: Let's Wait Until After 200 Meters Before Making A Decision Kersee also says he'll have no part in deciding: "It would be like, which kid do you love the most?"